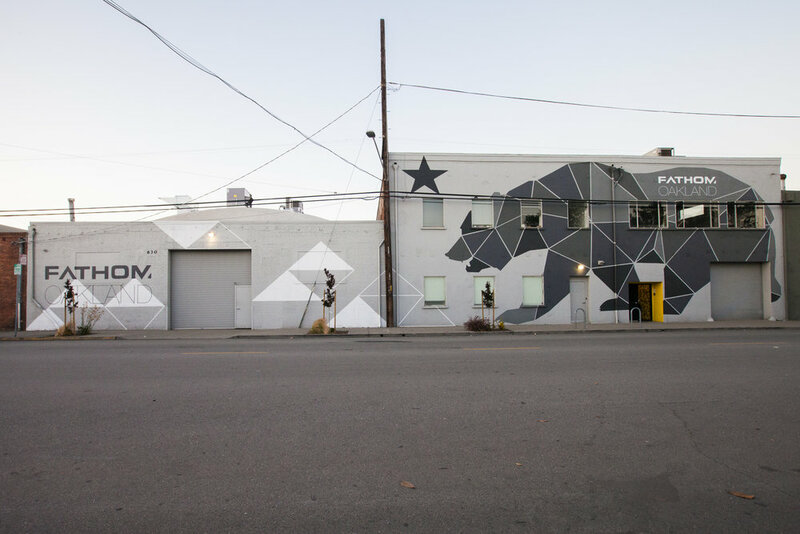 The exterior of their new building in Oakland, CA. The dramatic color shifts make a striking design and add to the neighborhood street scape. We worked with the our client on many aspects of their space, but mostly the conference / meeting room designs and color pallets for the space. 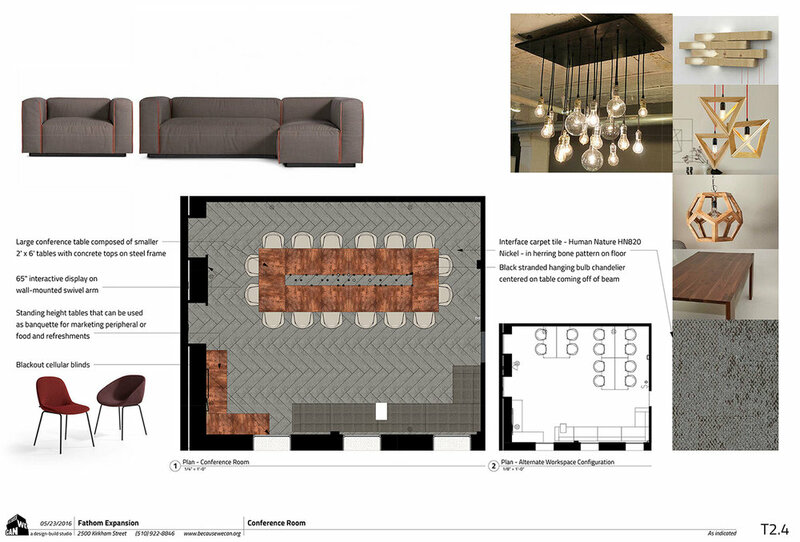 These initial concept designs for their new conference and meeting rooms helped them realize what they wanted for these new spaces. After Fathom came up with a design they wanted for their exterior facade we worked with them to choose the best colors. We used a bright accent of yellow throughout the space inside and out to keep the space modern and clean, but also bring in a bit of color. This bright yellow accent on the doorway helps with wayfinding and just looks really great. When our client decided to expand their office into the building next door, and large renovation was needed. 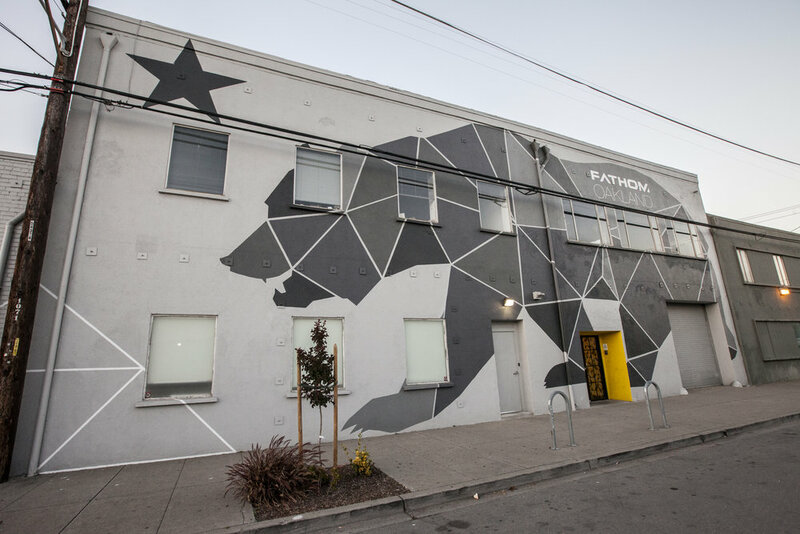 Previously used as a music venue, Fathom needed to change the warehouse space into their new fabrication and office area. We helped with the Architectural floor plans and interior design schemes, so they could manage the renovation. Lastly we managed the color specs for the exterior paint job, helping to bring some local pride to the facade of this building.